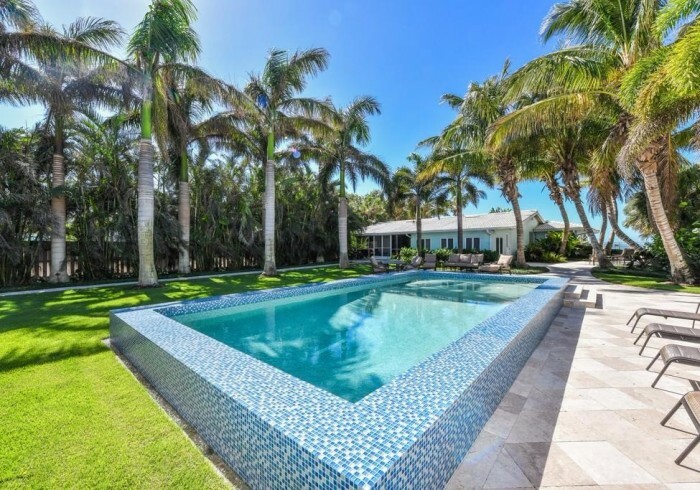 4 Bedroom Beachfront Pool Home. Closest house to the beach on Siesta Key! Included with your stay: Complimentary Bicycles, Beach chairs, Beach-Towels, Free-rides around Siesta and a 7-day week office for your convenience and guest needs. Siesta Key Paradise is nestled within walking distance of the quaint Siesta Key Village and only steps from the #1 beach in the USA. Siesta Key Paradise wraps you in luxurious palms and opens up to a panoramic view of the Gulf of Mexico. Sunsets have never been so beautiful. Enjoy the beach, the exquisitely landscaped grounds which include private seating areas with Gulf views and private courtyard heated swimming pool. Whether you come for business or pleasure, Siesta Key Paradise is beautiful inside and out!